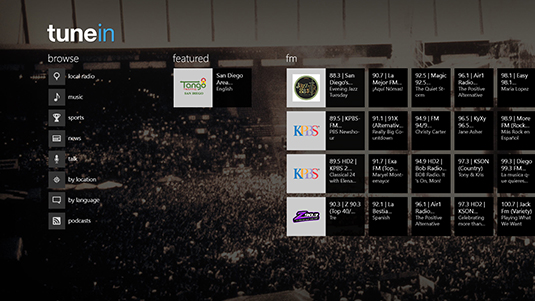 The Windows Store offers more than 100,000 apps for your Microsoft Surface, with more apps appearing each week. Here’s a look at some of the most popular apps in the Windows Store, and why they deserve a spot on your Surface. 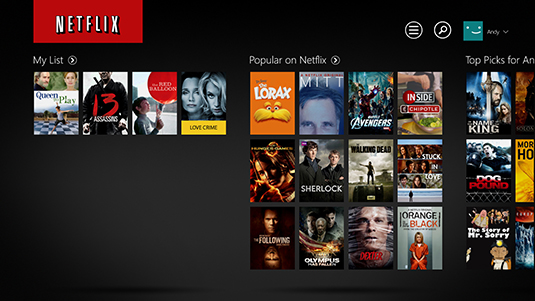 The Netflix app offers access to Netflix’s streaming library of thousands of movies. If you’re not a Netflix subscriber, the app provides a compelling reason as to why you should pony up the monthly fee. Netflix sorts its thousands of available videos into almost 80,000 categories to make the most esoteric niches easy to find. Are you only into Dark Thrillers Based on Books, for example? Netflix’s uncanny recommendation system ensures you’ll find movies you want to watch, whenever the couch calls. The Google Search app lures you in with its famous search engine. 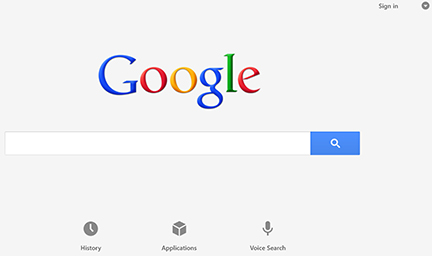 Unlike Microsoft’s built-in Bing search engine, the Google Search app doesn’t even require you to type your search. Just tap on the onscreen microphone, say what you’re looking for, and Google delivers. The app also provides a gateway to Google’s other services. Tap the Applications button, and Google provides access to Gmail, Maps, Calendar, Drive, YouTube, and more. Installing the Google app is an easy way to take advantage of Google’s best services without having to install a dozen apps on your Surface. 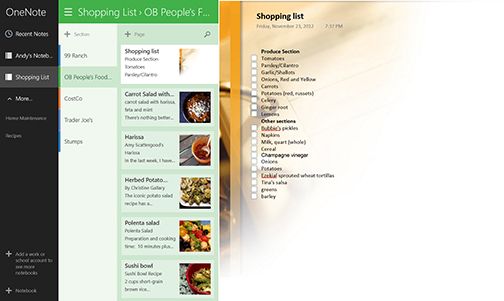 The Surface RT and Surface 2 come with the full desktop version of OneNote, Microsoft’s popular note-taking app. Microsoft’s OneNote team also released OneNote as a free Start screen app, making it available for owners of the Surface Pro and Pro 2, as well. The OneNote app’s finger-sized controls let you create OneNote files on the fly, as well as browse through your existing OneNote files. The OneNote app accesses the same OneNote files you’ve created with your PC, phone, or other device. When you store your OneNote files on SkyDrive, you can read and edit them easily from your Surface’s Start screen. At the least, it’s a handy way to keep a shopping list that anybody in the family can access from any device. At the most, it’s a fantastic way to organize school classes, travel plans, and favorite recipes. Amazon leads the field with ebooks, and Amazon’s Kindle app lets you read books on nearly any device, including your Surface. The Kindle app lets you access ebooks you’ve purchased from Amazon, and it lets you download those books to your Surface for reading when you’re away from an Internet connection. Even if you only read free classics in the public domain, the Kindle app means there’s always a fantastic book within an arm’s reach. Perhaps an odd choice, Remote Desktop is too advanced for most people. But for the few who need it, it’s quite an ace in the hole. Remote Desktop lets you connect to another computer over a network or the Internet. After you connect by entering the correct username and password, that distant computer’s screen fills your Surface’s screen. From there, you can access that computer’s files and run its programs just as if you were sitting in front of it. On the road and need to check the files of your home or work computer? 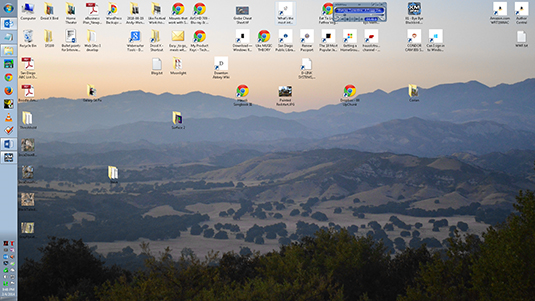 Remote Desktop can handle the job. Internet Radio stations fill nearly every musical niche around the world, and the TuneIn app lets you listen to nearly thousands of stations catering to every musical genre. If you prefer to stick around your hometown, many of your local stations are also available. The app even carries many local police and file scanner channels, if you want to know where that nearby siren’s headed. TuneIn provides a handy way to listen to your favorite type of music without having to stuff your Surface with MP3 files. 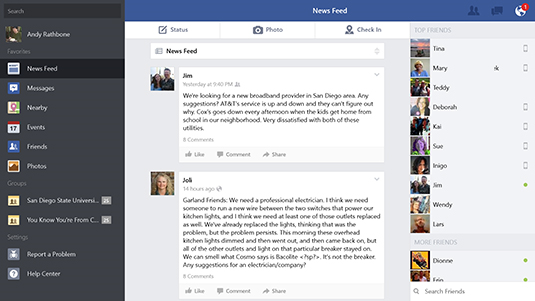 Facebook finally created a Windows app, which quickly rose to the top of the Windows Store’s Top Free apps category. There’s one caution, though: The Facebook app only runs on Windows 8.1, so Surface RT and Surface Pro owners must upgrade to Windows 8.1 before installing it. But once you’ve installed the app, you’ll find Facebook navigation to be easier than plunging in through Internet Explorer. The Internet brims with so much information that it’s difficult to find the interesting stuff. That’s where Flipboard steps in. Dubbed as “Your Personal Magazine” by its creators, Flipboard starts by letting you tap a few tiles based on your interests. For example, tap the News, Technology, Travel and Politics tiles, and Flipboard scours the Internet, pulling in popular articles that match those topics. (It even tosses in your social media feeds, if you’ve added those to the mix.) 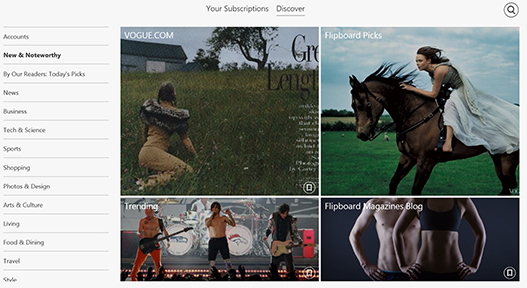 Whenever you open Flipboard, a newly issued personal magazine is ready for browsing. 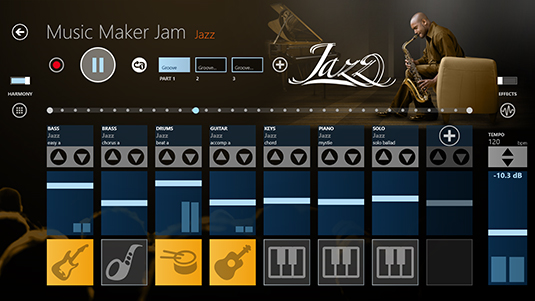 Whether you’re a struggling music student or a hotshot bebop player, Music Maker Jam brings something to the table. Choose a style of music by tapping its tile, and Music Maker Jam begins playing a loop of the basics: bass, drums and a rhythm instrument. From there, you can pick and choose between the loops to create something new, or pick up a real instrument and start jamming along to whatever loops are playing. It’s a fun way to turn music into a hands-on game rather than a spectator sport.